In addition to utilizing the highest quality FPL-53 glass, four elements are configured in three groups- a unique, patented design- not the conventional objective/flattener/reducer design, that affords pinpoint stars from edge to edge covering a 45mm full frame imaging circle-- an astrophotographer's dream especially since this little jewel of a telescope includes a robust 2.5" dual speed rack and pinion focuser that even incorporates a temperature gauge. The drawtube terminates in male M48 thread to which a wide M48-Canon EOS adapter ring (included) can be attached. This is not a conventional 2" focuser tube with locking thumbscrews. 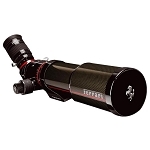 For those wishing to use this very portable telescope as a visual instrument, an optional 1.25" 90 degree dielectric mirror diagonal is available separately. 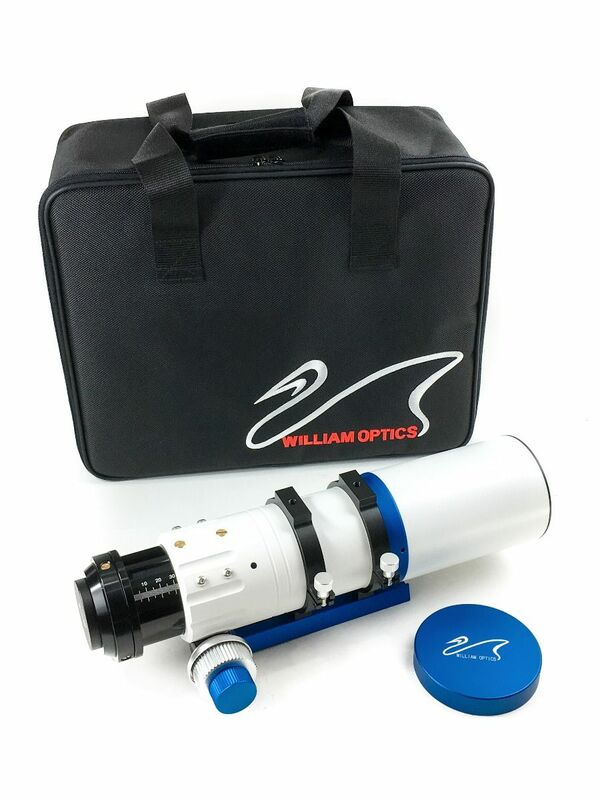 The diagonal comes with a custom adapter that connects directly to the telescope. (Please note: standard 1.25" diagonals are not compatible with this scope which also will not reach focus with larger 2" diagonals.